Animals from the spirit world that we are connected to from birth. This animal will be with us throughout our life. It will guide us and teach us it’s powers and serve as an intermediary between the physical and spirit world. Guides you for a period of days or even years. It will be with you until completion of the lesson or path it is guiding you on. Appears to teach a lesson, a specific growth attribute or give a warning. These types of animals are usually an encounter that leaves a powerful impression or significance with a person. Represents the inner self and fears that must be overcome or lessons to be learned in order to evolve spiritually. This animal has great power and will put us through life-lesson tests in order to gain wisdom and growth. This totem animal changes throughout your life in accordance with the level of evolvement being attained with its presence. “If you talk to the animals, they will talk with you and you will know each other. If you do not talk to them, you will not know them, and what you do not know you will fear. Associated with the nobility of manifesting things from the true essence within you. Earth is symbolic of wisdom, patience, prosperity. Grounding aspects of mind, body, spirit. What you gain in knowledge and teachings now, will be used later. What seemed impossible will be enlightened with a new idea and thought. Listen to your intuitions and trust that will be transformed in accordance with your true inner pathway. Spiritual vision opens up, creativity, inspiration, higher awareness, higher intuitions, self-mastery through the use of will. Air links the Earth and Heavens which allows the ability to walk between the spiritual and physical worlds using dreams and visions. Be open to any revelations you have for they will give guidance. It is time for spiritual renewal, sometimes easy, sometimes painful, but always welcome for we need to grow within and without. Opportunities to change and manifest a new thought, idea or action. Fire is the element of heart, passions and love that help us regenerate our lives. Change must be met with strength and endurance - knowing you will move through this stage and awaken new, fresh and purified. All of life is a cycle, there are only transition periods that we must maneuver through. During such changes, we learn, grow and expand our self awareness. Physical and behavioral adaptations to the environment in order to survive. Water will always take the path of less resistance. Utilizing your energy to the fullest in whatever life requires is a hallmark of a true shapeshifter. Being able to adapt according to need in all areas of your life. This requires a shifting in consciousness to flow like water over a given circumstance. The animals have no qualms with changing, it does this without hesitation. A Dragon totem is one of the most powerful totems, representing a huge range of qualities, emotions, and traits. When Dragons come to us, it could mean many things. The most common message a Dragon totem carry to us is a need for strength, courage, and fortitude. 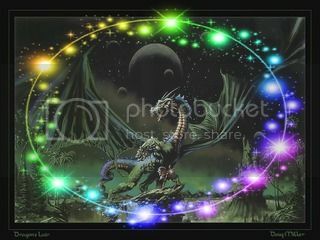 Dragons are also messengers of balance, and magic - encouraging us to tap into our psychic nature and see the world through the eyes of mystery and wonder. More specifically, Dragons are the embodiment of primordial power - the ultimate ruler of all the elements. This is because the Dragon is the master of all the elements: Fire, Water, Earth, and Wind. As a totem, the Dragon serves as a powerful guardian and guide. Encourage communication with your Dragon, and acknowledge your Dragon's presence as often as possible. Meditation upon your Dragon totem. Begin collecting Dragon images that resonate with you. Keep these images close, and easily available to you. Look upon these images whenever you wish to communicate with your Dragon totem. Better yet, begin drawing while communicating with your Dragon. Ask your Dragon to reveal itself to you through your drawing. Read everything you can on Dragons. This will broaden your horizons, and expand your imagination. A warning though: By all means, never be limited by the scope of what you read. Ultimately, it is you and your Dragon that will create the perfect understanding. There is never a limit in matters of spirit - that includes matters concerning our totems (especially strong totems like the Dragon!). A Dragon totem can be a powerful ally in our daily effort to live our lives. When we call upon the amazing restorative and potent qualities of the Dragon, we are able to effectively live our lives with the honestly, courage, and strength of a peaceful warrior. Utilizing the symbolic power of the dragon totem is an internal process cultivated by contemplating the attributes of the dragon we admire and meditating upon these. We can also honor the dragon totem externally by little actions like including dragon imagery in our lives. It solidifies our connection with the magic the dragon offers. Whether you are an artist who looks to dragons for inspiration, or a business mogul identifying with a solid symbol of strength or luck - it's clear dragons speak to those special places within us, stoking the fires of our hearts. Thank you for this amazing post Owls!! Lots of love & light to you always!